Lawmakers and lobbyists may have a cozy relationship most of the year, but on Wednesday, that relationship will be put on ice -literally. 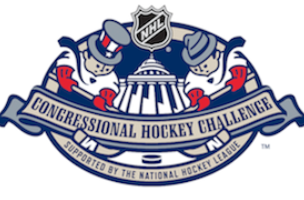 The 6th annual Congressional Hockey Challenge will commence at 7:00 PM on Wednesday at Kettler Capitals Iceplex, practice home of the Washington Capitals. 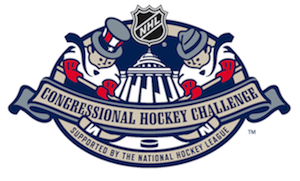 The game raises money for the NHL Scholarship of the Thurgood Marshall College Fund. Now, we know what you’re thinking – a team composed of Members of Congress (where the average age is 57 in the House, 62 in the Senate) doesn’t seem very intimidating. But they won’t play alone. Congressional staff, administration officials, USA Warriors Hockey team members and Canadian Members of Parliament will all take to the ice as well. That’s right -Congress has got Canadians on their side. NHL Veteran and Capitals Alumnus Peter Bondra will also be donning the home colors for the Lawmakers. For their part, the lobbyists have Comcast SportsNet Commentator and fellow Washington Capitals Alumnus Alan May. The Lobbyists lead the series 3 games to 2, making this match an opportunity for the Lawmakers to even things up. To buy tickets or donate, go here.